Back in March of this year, The Daily Beast lamented that 2013 was sure to be the year of the slavery film, though of the six listed, I'm only aware of two coming to the big screen, and neither has been shown in the states. While I think it's important to tell our story, it's just as important to get it right. We're seeing a generation of people that believes America went straight from slavery to the civil rights movement and some sort of equality fairy dust was sprinkled and there was a magical cleansing of prejudice and racism. I don't care if a movie about slavery is released every month if it sets the record straight. Seriously, go read message boards or comment sections. They're full of people that want black America to get over it (it being slavery), and to stop whining about racism because it doesn't exist anymore. So while Nick Cannon is shucking and jiving with Wild 'n Out, but whining on Twitter about there being too many movies about slavery, I don't see him doing anything to educate anyone or help the situation. Now what does any of this have to do with literature and, specifically, brown bodies as props in modern lit? While others may have noticed an influx of slavery films, I've noticed an overwhelming number of books in this past year that use slavery as the backdrop and black people as a vehicle to tell a white character's story or gain sympathy. 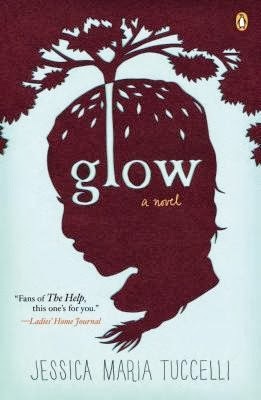 In Jessica Maria Tuccelli's Glow, the author throws characters, dates and events together to create a story, but at no point does it ever seem like she really understands her characters or knows what she's doing with them. Instead, you're left with the impression that her publisher told her slavery was what's hot in the streets this year, so if she could find a way to build a story around slaves and their descendants, she'd have a hit on her hands. I can't imagine any other reason why a first time author with no vested interest in the slave narrative would take on such a project of which she was incapable of handling. But slaves don't necessarily fare better in the hands of authors of color either. In The Wedding Gift, Marlen Supaya Golden tells the story of a slave girl given to her white playmate and their "friendship" as they grow into adults. Though the story is meant to be told from the perspectives of the slave and the mother of the mistress, much more attention is given to the mistress and her family, while the slave's story is all but skipped over until the last few chapters when it's thrown together in haste and leaves the reader unsatisfied. 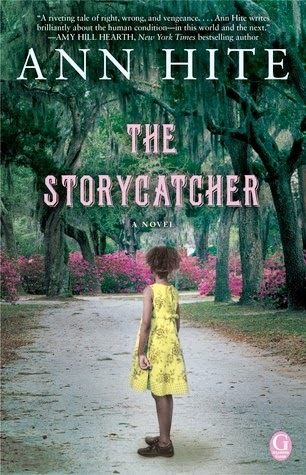 Books like Ann Hite's The Storycatcher rely on the spirits of slaves and their descendants to assist the featured white characters. And contrary to its title, Mrs. Lincolns Dressmaker is less about the actual dressmaker, Elizabeth Keckley, and much more about Mary Todd Lincoln and the goings on at the White House. Lois Leveen tried her hand at writing a slave narrative in The Secrets of Mary Bowser and produced such a simplified version that I was sure it was written for a middle school reader and not adults. With Oprah's announcement of her next big read, The Invention of Wings by Sue Monk Kidd, I had to roll my eyes. Kidd likes her magical Negroes (i.e., The Secret Lives of Bees), as does Oprah. Based on real life suffragette and abolitionist Sarah Grimke, Kidd admittedly makes up the character of Handful Grimke, a slave given to Sarah as a child. The book explores their wonderful (yes, I'm being sarcastic) friendship over 35 years. If you want to tell your story, you want to do historical fiction, do that. But what purpose does it serve to create characters if your only intent is to use them as a prop in the telling of your story? 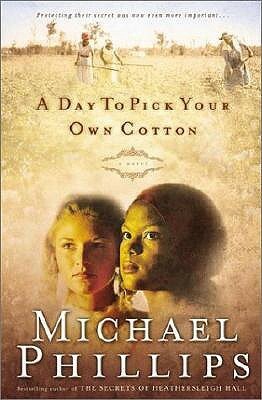 A quick search of "slavery historical fiction" on Amazon will bring up books like the Michael Phillips series of slave and mistress raised as sisters featuring: Angels Watching Over Me , Day to Pick Your Own Cotton, Color of Your Skin Ain't the Color of Your Heart. Or Linda Spalding's The Purchase in which a Quaker family struggles with the decision of what to do with the slave they've inherited, which is somewhat along the same lines as The Last Runaway by Tracy Chevalier. None of these books sound especially appealing. It's important that authors know what they're writing about. Right now there are classrooms in which The Help is being used to teach the Civil Rights movement. While the book does offer background on important historical events, it is by no means an authority on the movement and sugarcoats much of it. For these reasons, and others, authors have got to learn how and what can be used as interchangeable props in historical fiction, and the lives of black people aren't it. I know people long for the good old days, but quite honestly, those days were only good if you were a white male, first and a white female, second. So when you use others for whom those days weren't so good and turn those often volatile relationships to rainbows and lollipops for the sake of your story, you're doing everyone a disservice. well and write what you know. If you don't do the research, if your heart isn't in your characters, it shows. If you're only writing about brown bodies because you think it'll sell well or your publisher is pushing for more diversity, don't. Readers can see right through it and you're doing yourself no favors as an author. 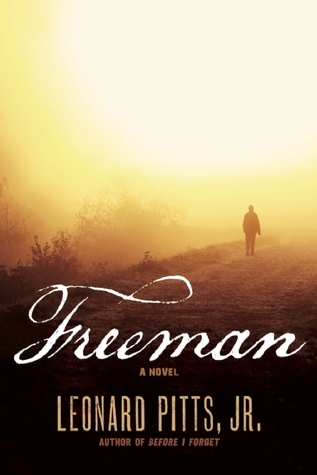 Publishers would be better served putting out more works by authors that continue to do the work, like Leonard Pitts, Jr. with Freeman or Jonathon Odell with The Healing, than serving up a platter of historical fiction with brown bodies on the side. And if, as an author, you really feel like you want to take on history from a black perspective, please know that we exist beyond slavery. It's interesting to me that authors seem to be stuck in that time period as if our presence in both world wars wasn't historical. Or as if the Harlem Renaissance didn't happen. Tell some of those stories. I promise our lives after slavery are just as important, even if you can't find a way to throw in white characters to whom you'd have us play second fiddle. Do the work because if you don't, you're no better than slave masters who saw black bodies as property to be used however they saw fit.